Once you have your church Facebook page set up (May issue of Living Lutheran), now comes the fun part: Be social! 1. Share information and images from connected organizations. 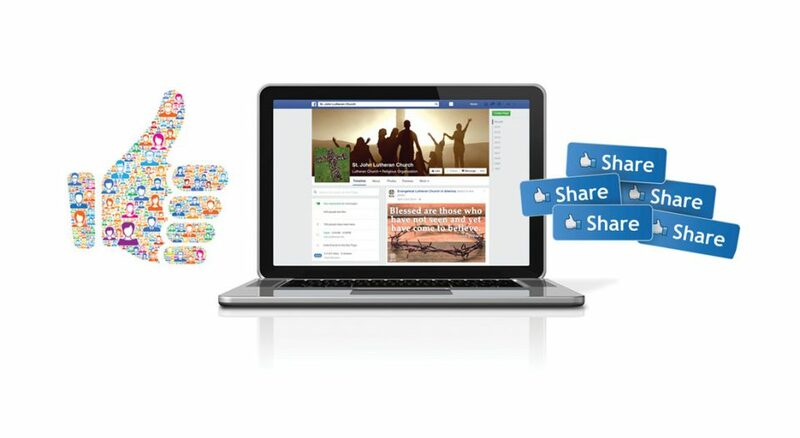 Whether it’s another congregation, the chamber of commerce, the local school or a business, use that share button. If someone else is posting something that is helpful community information, share it. Use the share button so your post shows where it comes from. The economy of social media is one of generosity—the more you share your influence, the more influence you gain. 2. Share posts that are just plain fun. Yes, we are a church and we take seriously our task to proclaim the gospel. But we are also called to be joyful. Have some fun with it. Make people laugh and engage them. Lots of pictures. Don’t just tell us about your congregation, show us—post photos of people involved in mission and ministry, and joyful, worshiping, working, singing people. More and more people are using their time online to grow in faith. Provide tools for them—a prayer, a song, Scripture or meaningful quote. As people scroll through their newsfeed, posts from your page remind them of what matters most. Although organizational pages can’t comment on personal profiles, you can on other organizational pages. Click on the top right gearbox to “use page as” and use it as your church. Now go forth and comment on the same sort of community and connected organizations as noted in No. 1. The more you comment, the more visible your page will be. Although I’ve found two to four posts a day to be a sweet spot for me, it might be different on your page. But remember: every day that you don’t post something, you lose some of your audience. So try to post at least once a day. The key question to ask yourself about your Facebook page: If I were not a member of this church, would I follow this page?